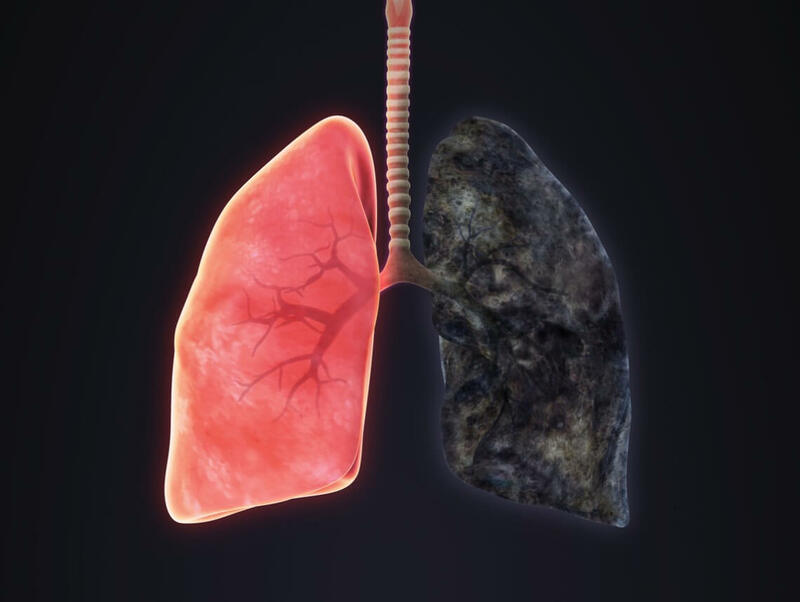 Emphysema is a lung disease in which the air sacs within the lungs, called the alveoli, are damaged to the extent that they can no longer help to move air in the lungs. If your loved one has emphysema, it’s difficult for their body to get rid of carbon dioxide and get oxygen into their body. As a result, they may often feel as though they can’t get enough air. If your elderly loved one has been diagnosed with emphysema and still smokes, that needs to change as quickly as possible. Smoking worsens your loved one’s ability to breathe and damages their lungs even more rapidly. Quitting smoking is really tough, though, especially if your loved one has smoked for a long time. Cutting back at all can be helpful, so don’t look at your loved one’s inability to quit right away as a loss. Your loved one’s doctor and elderly care team will have lots of tools and advice that can help you work with your loved one to give up smoking for good. Emphysema doesn’t respond to medications because of the nature of the problem. It’s very likely, however, that your loved one has emphysema in combination with other lung problems that fall under the umbrella of COPD, or chronic obstructive pulmonary disease. There are medications that can help COPD symptoms, and it’s possible that your loved one’s doctor will prescribe one or more of them. These types of medications, usually bronchodilators and corticosteroids, help to open the breathing passages so that your loved one doesn’t experience constricted breathing. Another treatment method that your loved one’s doctor is very likely to recommend is pulmonary rehabilitation. This is a combination of exercise regimes, lung assessments, and even psychological support that help your loved one to breathe better and to manage their emphysema. People with lung problems such as emphysema often experience depression or anxiety because they fear being unable to breathe and they often cannot do all of the things that they once loved to do. Pulmonary rehabilitation helps them to make their lungs as strong as possible so that they can reclaim some of that life that they loved. Oxygen therapy covers quite a few different types of treatment. Very few people need constant long-term oxygen therapy day and night. This usually occurs with extreme lung damage. Most often, people who need oxygen therapy need it periodically during the day, during physical activity, or to help relieve sudden onset of shortness of breath. Your loved one might be self-conscious about oxygen therapy at first, so you might need to work with them to overcome that. Emphysema is very serious, but you can help your loved one to manage the symptoms.